Discussion in 'Gameplay Discussions' started by Melphyx, Apr 10, 2019. Proudly percent A:IR on Discord for community purposes. A Easy way to keep you posted about everything thru all platforms handhelds. News, builds, crafts, recommendations, and more! Be part of the community.. be part of a whole adventure! 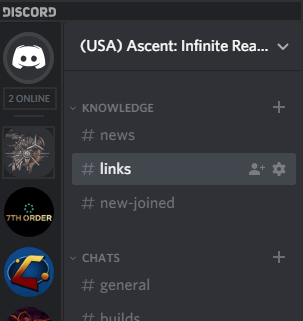 Yes there are many player-created discord server same as this one. PD: Best way join this one and support the community. Well, USA version isnt announced yet. but Thai version is up this April 25. The launcher is ready to download with Keys. Join here https://discord.gg/Ss2QZyw to see links for it.